From a musical family, she achieved early honours as a student at the Paris Conservatoire but, believing that she had no particular talent as a composer, she gave up writing music and became a teacher. In that capacity, she influenced generations of young composers, especially those from the United States and other English-speaking countries. Among her students were those who became leading composers, soloists, arrangers, and conductors, including Aaron Copland, Roy Harris, Virgil Thomson, Darius Milhaud, Elliott Carter, David Diamond, Dinu Lipatti, Igor Markevitch, İdil Biret, Daniel Barenboim, John Eliot Gardiner, Philip Glass, Lalo Schifrin, Astor Piazzolla, Quincy Jones, and Michel Legrand. Her female students, whose chances in the 20th century for recognition were significantly lower than that of the men, include notable American women composers, such as Louise Talma, Elaine Bearer, Eugenie Kuffler, Elise Grant Cieslak, and Anne Robertson. Aaron Copland was an American composer, composition teacher, writer, and later a conductor of his own and other American music. Copland was referred to by his peers and critics as "the Dean of American Composers". The open, slowly changing harmonies in much of his music are typical of what many people consider to be the sound of American music, evoking the vast American landscape and pioneer spirit. He is best known for the works he wrote in the 1930s and 1940s in a deliberately accessible style often referred to as "populist" and which the composer labeled his "vernacular" style. Works in this vein include the ballets Appalachian Spring, Billy the Kid and Rodeo, his Fanfare for the Common Man and Third Symphony. In addition to his ballets and orchestral works, he produced music in many other genres, including chamber music, vocal works, opera and film scores. Roy Ellsworth Harris was an American composer. He wrote music on American subjects, and is best known for his Symphony No. 3. Virgil Thomson was an American composer and critic. He was instrumental in the development of the "American Sound" in classical music. He has been described as a modernist, a neoromantic, a neoclassicist, and a composer of "an Olympian blend of humanity and detachment" whose "expressive voice was always carefully muted" until his late opera Lord Byron which, in contrast to all his previous work, exhibited an emotional content that rises to "moments of real passion". Boulanger taught in the US and England, working with music academies including the Juilliard School, the Yehudi Menuhin School, the Longy School, the Royal College of Music and the Royal Academy of Music, but her principal base for most of her life was her family's flat in Paris, where she taught for most of the seven decades from the start of her career until her death at the age of 92. The Juilliard School, informally referred to as Juilliard and located in the Lincoln Center for the Performing Arts on the Upper West Side of Manhattan, New York City, is a performing arts conservatory established in 1905. The school trains about 850 undergraduate and graduate students in dance, drama, and music. It is widely regarded as one of the world's leading drama, music and dance schools, with some of the most prestigious arts programs. In 2016, QS Quacquarelli Symonds ranked it as the world's best institution for Performing Arts in their inaugural global ranking of the discipline. The Yehudi Menuhin School is a specialist music school in Stoke d'Abernon, Surrey, England, founded in 1963 by violinist and conductor Yehudi Menuhin. The current Head is Kate Clanchy. The current Director of Music is the composer and conductor Òscar Colomina i Bosch. The school is one of the five established musical schools for school-age children in the United Kingdom, along with Chetham's School of Music, Wells Cathedral School, the Purcell School and St. Mary's Music School, Edinburgh. It is mainly funded by the Department for Education's Music and Dance Scheme, by philanthropic foundations, by donations and bequests from individuals, and by regular support from the Friends of the Yehudi Menuhin School. Boulanger was the first woman to conduct many major orchestras in America and Europe, including the BBC Symphony, Boston Symphony, Hallé, New York Philharmonic and Philadelphia orchestras. She conducted several world premieres, including works by Copland and Stravinsky. 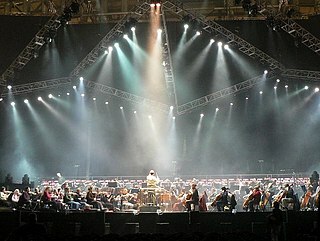 The BBC Symphony Orchestra(BBC SO) is a British orchestra based in London. Founded in 1930, it was the first permanent salaried orchestra in London, and is the only one of the city's five major symphony orchestras not to be self-governing. The BBC SO is the principal orchestra of the British Broadcasting Corporation (BBC). The Boston Symphony Orchestra (BSO) is an American orchestra based in Boston, Massachusetts. It is one of the five major American symphony orchestras commonly referred to as the "Big Five". Founded in 1881, the BSO plays most of its concerts at Boston's Symphony Hall and in the summer performs at Tanglewood. The Hallé is an English symphony orchestra based in Manchester, England. It supports a choir, youth choir, youth training choir, children's choir and a youth orchestra, and releases its recordings on its own record label, though it has occasionally released recordings on Angel Records and EMI. Since 1996 the orchestra has been resident at the Bridgewater Hall in Manchester. Ernest Henri Alexandre Boulanger was a French composer of comic operas and a conductor. He was more known, however, for being a choral music composer, choral group director, voice teacher, and vocal contest jury member. Raissa qualified as a home tutor (or governess) in 1873. According to Ernest, he and Raissa met in Russia in 1873, and she followed him back to Paris. She joined his voice class at the Conservatoire in 1876, and they were married in Russia in 1877. Ernest and Raissa had a daughter who died as an infant[ citation needed ] before Nadia was born on her father's 72nd birthday. In 1910, Annette Dieudonné became a student of Boulanger's, continuing with her for the next fourteen years. When her studies ended, she began teaching Boulanger's students the rudiments of music and solfège. She was Boulanger's close friend and assistant for the rest of her life. Weakened by her work during the war, Lili began to suffer ill health. She died in March 1918. Leaving America at the end of 1945, she returned to France in January 1946. There she accepted a position of professor of accompagnement au piano at the Paris Conservatoire. In 1953, she was appointed overall director of the Fontainebleau School. She also continued her touring to other countries. Her eyesight and hearing began to fade toward the end of her life. On August 13, 1977, in advance of her 90th birthday, she was given a surprise birthday celebration at Fontainebleau's English Garden. The school's chef had prepared a large cake, on which was inscribed: "1887–Happy Birthday to you, Nadia Boulanger–Fontainebleau, 1977". When the cake was served, 90 small white candles floating on the pond illuminated the area. Boulanger's then-protégé, Emile Naoumoff, performed a piece he had composed for the occasion. Boulanger worked almost until her death in 1979 in Paris. She is buried at the Montmartre Cemetery, as is her sister Lili. For Boulanger's notable students, see List of music students by teacher: A to B § Nadia Boulanger. ↑ Campbell, Don G. (August 1984). Master teacher, Nadia Boulanger. Pastoral Press. p. 17. ISBN 978-0-912405-03-2 . Retrieved 28 April 2012. 1 2 3 4 5 6 7 8 9 10 11 12 13 14 15 16 17 Potter, Caroline. "Boulanger, Nadia". Grove Music Online (Oxford Music Online). Retrieved 16 September 2010. ↑ "Nadia Boulanger". naxos.com. Retrieved 21 February 2012. ↑ Ellen, Moody. "Sigma Alpha Iota - Honorary Members". Archived from the original on 11 January 2011. Retrieved 21 April 2013. 1 2 Doyle, Roger O. (2003). Martha Furman Schleifer, ed. Women Composers. 7. Hall. pp. 753–4. ISBN 0-7838-8194-0. ↑ Rosenstiel, Léonie (1998). Nadia Boulanger: A life in music. Norton. p. 400. ISBN 9780393317138. 1 2 Bernheimer, Martin (September 8, 1985). "Mademoiselle: Conversations with Nadia Boulanger, by Bruno Monsaingeon". Los Angeles Times. Retrieved May 12, 2013. ↑ Berkeley, Lennox (January 1931). "Nadia Boulanger as Teacher". The Monthly Musical Record. Retrieved 21 February 2012. 1 2 Rorem, Ned (23 May 1982). "The Composer and the Music Teacher". New York Times. Retrieved 21 February 2012. 1 2 Campbell, Don (2002). "Nadia Boulanger: Teacher of the Century". nadiaboulanger.org. Archived from the original on 27 July 2011. Retrieved 21 February 2012. 1 2 Copland, Aaron (1963). On Music. New York: Pyramid. pp. 70–77. ↑ Orr, Robin (March 1983). "Boulanger". The Musical Times. ↑ Orkin, Jenna (2005). "The Last Class: Memories of Nadia Boulanger" . Retrieved 21 February 2012. ↑ Owen, Albert Alan (2006). "Nadia Boulanger Remembered". aaowen.com. Retrieved 27 February 2012. ↑ Kendall, Alan (1976). 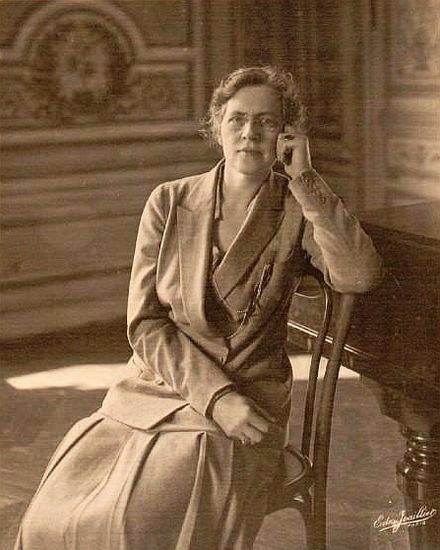 The Tender Tyrant - Nadia Boulanger - A Life Devoted To Music. Macdonald and Jane's. p. 76. ↑ "Book of Members, 1780–2010: Chapter B" (PDF). American Academy of Arts and Sciences. Retrieved 29 July 2014. ↑ "International News". Music Journal. 20: 6. 1962. 1 2 3 Spycket, Jerome (1993). Nadia Boulanger. Pendragon Press. p. 160. Gabriel Urbain Fauré was a French composer, organist, pianist and teacher. He was one of the foremost French composers of his generation, and his musical style influenced many 20th-century composers. Among his best-known works are his Pavane, Requiem, Sicilienne, nocturnes for piano and the songs "Après un rêve" and "Clair de lune". Although his best-known and most accessible compositions are generally his earlier ones, Fauré composed many of his most highly regarded works in his later years, in a more harmonically and melodically complex style. 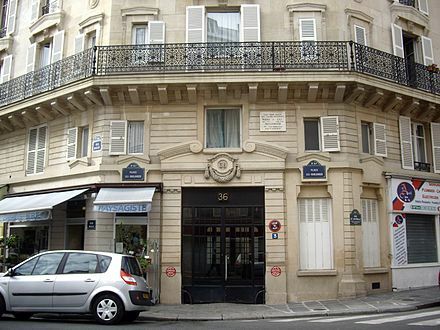 The Conservatoire de Paris is a college of music and dance founded in 1795 associated with PSL Research University. It is situated in the avenue Jean Jaurès in the 19th arrondissement of Paris, France. 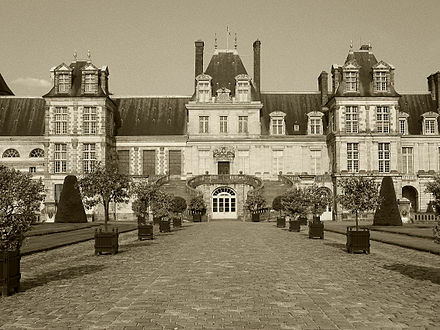 The Conservatoire offers instruction in music, dance, and drama, drawing on the traditions of the "French School". Marie-Juliette Olga "Lili" Boulanger was a French composer, and the first female winner of the Prix de Rome composition prize. Her older sister was the noted composer and composition teacher Nadia Boulanger. Robert D. Levin is a classical performer, musicologist and composer, and is the artistic director of the Sarasota Music Festival. Karel Husa was a Czech-born classical composer and conductor, winner of the 1969 Pulitzer Prize for Music and 1993 University of Louisville Grawemeyer Award for Music Composition. In 1954, he immigrated to the United States and became an American citizen in 1959. Cláudio Franco de Sá Santoro was an internationally renowned Brazilian composer, conductor and violinist. Magdalena Maria Yvonne Tagliaferro was a Brazilian-born pianist of French parents. (Charles) Denoe Leedy was a classical pianist, music educator and music journalist. Stéphane Raoul Pugno was a French composer, teacher, organist, and pianist known for his playing of Mozart's works. Isabelle Delorme was a Canadian composer, pianist, and music educator. As a composer, her works are lyrical in nature and follow more traditional ideas of harmony as opposed to the avant-garde music that was in vogue in her day. She was an active recitalist but is best remembered for her impact as a teacher of music theory. Émile Naoumoff is a French pianist and composer. He revealed himself a musical prodigy at age five, taking up study of the piano and adding composition to his studies a year later. 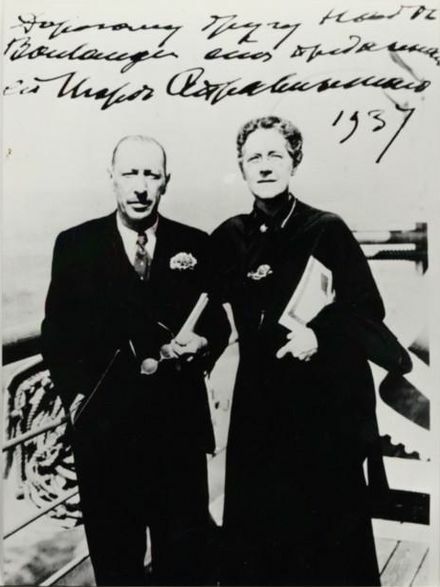 At the age of eight, after a fateful meeting in Paris, he became the last disciple of Nadia Boulanger, who referred to him as "the gift of my old age". He studied with her until her death in late 1979. Boulanger gave him the opportunity to work with Clifford Curzon, Igor Markevitch, Robert and Gaby Casadesus, Nikita Magaloff, Jean Françaix, Leonard Bernstein, Soulima Stravinsky, Aram Khachaturian and Yehudi Menuhin. Lord Menuhin conducted the premiere of Naoumoff's first Piano Concerto, with the composer as a soloist when he was ten years old. He pursued studies at the Paris Conservatory with Lélia Gousseau, Pierre Sancan, Geneviève Joy-Dutilleux, as well as at the Ecole Normale de Musique de Paris with Pierre Dervaux (conducting). Léo-Pol Morin was a Canadian pianist, music critic, composer, and music educator. He composed under the name James Callihou, with his most well known works being Suite canadienne (1945) and Three Eskimos for piano. He also composed works based on Canadian and Inuit folklore/folk music and harmonized a number of French-Canadian folksongs. Victor Brault notably transcribed his Inuit folklore inspired Chants de sacrifice for choir and 2 pianos. Ida Rose Esther Gotkovsky is a French composer and pianist. She is currently a professor of music theory at the Conservatoire National Superieur de Musique in France. Marie-Julie Boulanger, née Marie-Julie Halligner, was a French mezzo-soprano. She performed her entire career under the stage name Mme Boulanger, appearing in the world premieres of Le maître de chapelle, L'ambassadrice, Le domino noir, and La fille du régiment. John Lessard (1920-2003) was an American composer and music educator noted among peers for his eloquent and dramatic neo-classical works for piano and voice, chamber ensembles, and orchestra, as well as for his playful pieces for mixed percussion ensembles. He was also an accomplished pianist and conductor. Aaron Copland wrote the Symphony for Organ and Orchestra in 1924. It represents a major work in the composer's oeuvre, as it was his first fully realized orchestral work, his first work for organ, and the first piece whose orchestration he heard. In 1928, Copland re-orchestrated the work without organ as his Symphony No. 1, rewriting the organ part in the brass and adding saxophone. Pierre Petit was a French composer. Antoine Tisné was a French composer. Burton, Anthony, and Griffith, Paul, Nadia Boulanger, in Alison Latham, Ed., Oxford Companion to Music. Oxford University Press, 2002. Monsaingeon, Bruno (1985). Mademoiselle: Conversations with Nadia Boulanger. Carcanet Press. ISBN 0-85635-603-4. Rosenstiel, Léonie (1982). Nadia Boulanger: A Life in Music. W.W. Norton & Co. ISBN 0-393-01495-9. Wikimedia Commons has media related to Nadia Boulanger .